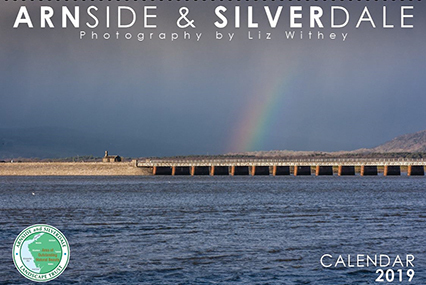 Thanks to local photographer and Arnside/Silverdale Landscape Trust member, Liz Withey, you can support the Trust and enjoy a view of Arnside & Silverdale Area of Outstanding Natural Beauty every day in 2019! Calendars cost just £10 with 100% going to the Trust’s reserves appeal. Available from The Old Station Building, Arnside, or please email membership@arnsidesilverdaleaonb.org.uk to request your copy.